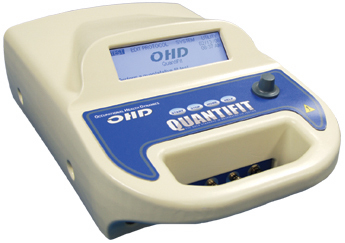 The OHD Quantifit offers an impressive array of advantages that can dramatically improve your respirator program. Within the first ten seconds of testing, you will know whether the respirator user has a basic fit or not. 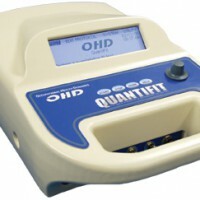 While you may use the Quantifit™ with a personal computer for more advanced record keeping, the unit can do everything needed for a quantitative fit test without a PC. Come to White Plains to our Store for quality fit-testing (by appointment). OR we can come to your FD and fit test your department, with the same quality and service. An updated and more efficient version of the FitTrack Software has arrived! Contact our main office or your local AAA Sales Representative for more details!